+447947121984 Delivery Info Returns sales@exclusivefurnitureworld.com Purchase over £100 and get 5% discount EXCFW10. Free Delivery Mainland UK only 1-3 Working Days. 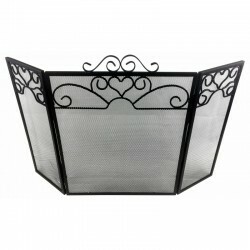 Choose from a wide range of Fire Screen & Street Signs by Exclusive Furniture World. High quality wooden sign in black and white. Reads 'ABBEY ROAD'. Text is embossed with the backgroun..
High quality wooden sign in black and white. Reads 'ANFIELD ROAD'. Text is embossed with the b..
High quality wooden sign in black and white. Reads 'BAKER STREET'. Text is embossed with the backgro..
High quality wooden sign in black and white. Reads 'BRICK LANE'. Text is embossed with the bac..
High quality wooden sign in black and white. Reads 'CARNABY STREET'. Text is embossed with the..
High quality wooden sign in black and white. Reads 'COVENT GARDEN'. Text is embossed with the backgr..
High quality wooden sign in black and white. Reads 'HYDE PARK'. Text is embossed with the back..
High quality wooden sign in black and white. Reads 'MAN CAVE'. Text is embossed with the backg..
Metal Street Sign HOGWARTS 70cm x17cm black lettering on an off white background in street sign styl..
High quality wooden sign in black and white. Reads 'MR & MRS'. Text is embossed with the b..
High quality wooden sign in black and white. Reads 'PROSECCO TIME'. Text is embossed with the backgr..
63.5cm Triple winged fire screen total width 87cm middle section: 45cm height (excluding scrolling) ..
High quality wooden sign in black and white. Reads 'WIMBLEDON'. Text is embossed with the back.. Welcome to our website! Exclusive Furniture World is a family run business and a leading supplier of quality furniture’s, homewares, decors and electrical appliances in the UK. Our reputation has been built on the quality of our products along with exceptional stock levels and delivery service. Our products are excellent value for money, making sure that the quality comes first, delivering you the best choice of products to fit your very need. See what our customers have said when leaving Exclusive Furniture World on our customer reviews. Contact us for shipping outside United Kingdom. Follow us on social media for the latest updates on new arrivals and discounted offers - we want to make your house a home. Copyright © 2019, Exclusive Furniture World, All Rights Reserved.